It’s beautiful, but tinged with a little hesitation. And colder air. All photos by Dad Victory. 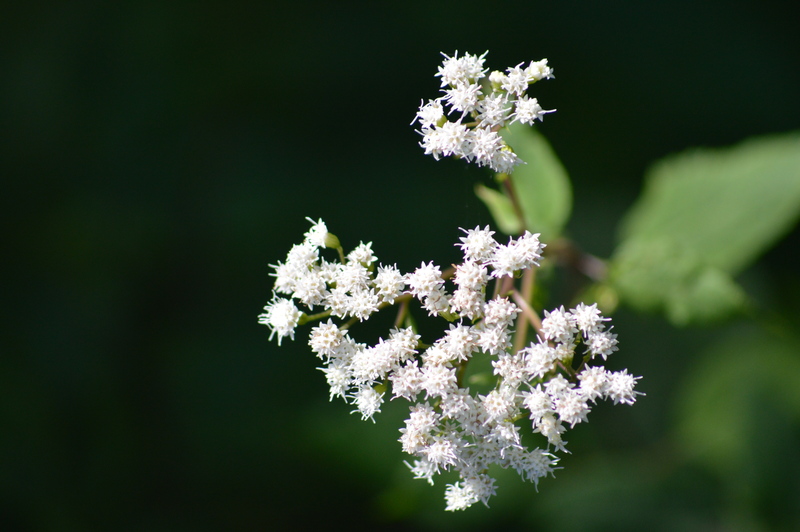 In September, pie weed takes over the garden. 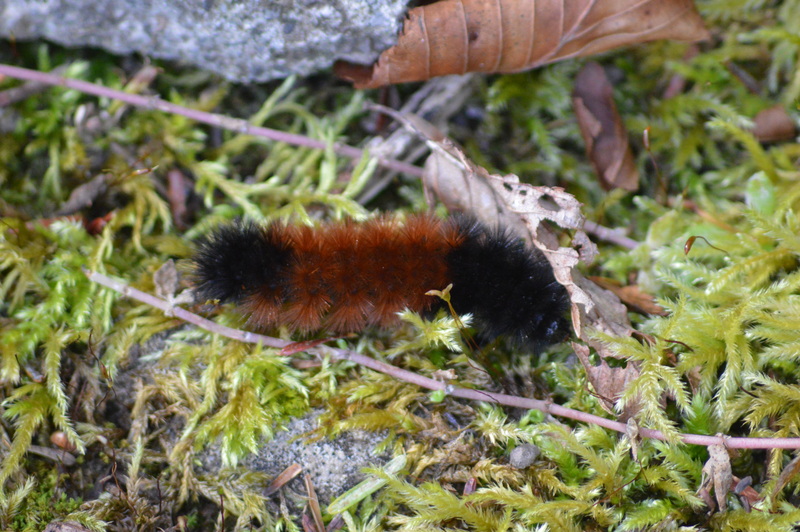 It’s great for late season pollinators. 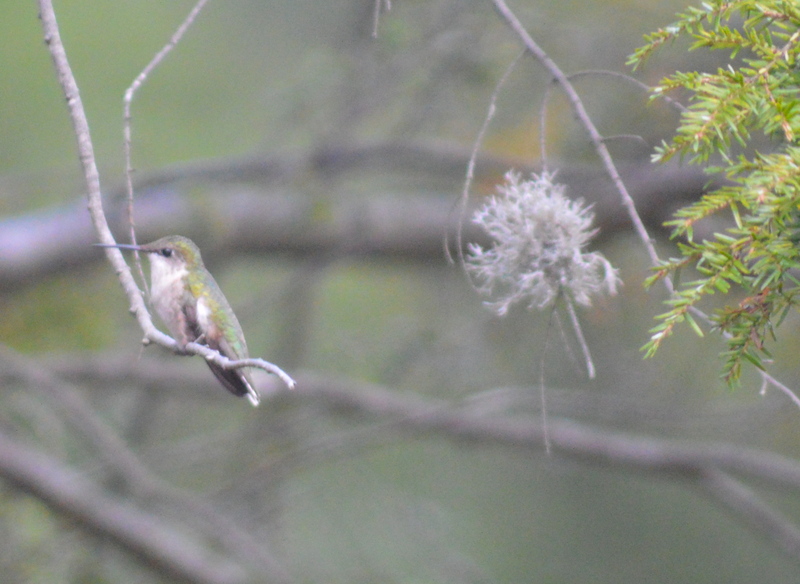 This female ruby-throated hummingbird is a straggler, all our others have flown south. 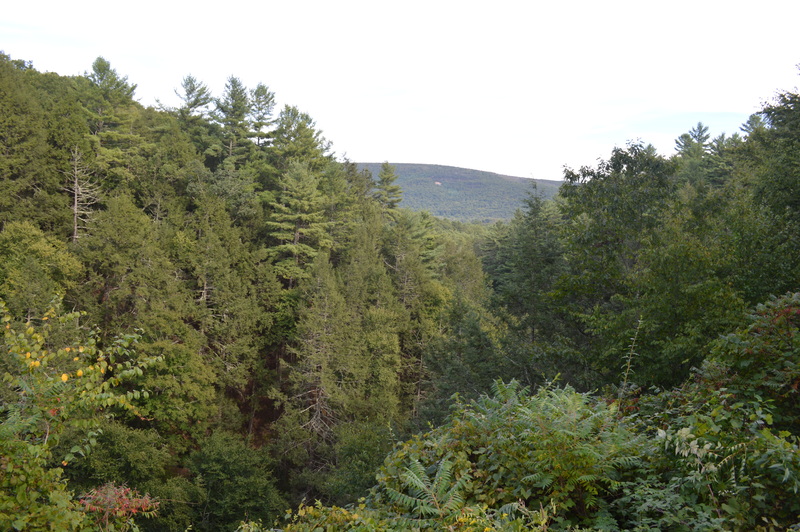 Nice job, Dad: When photographing our view, the many layers of the evergreen trees often get lost into one blob. No signs of fall here, but that will come in about two weeks. 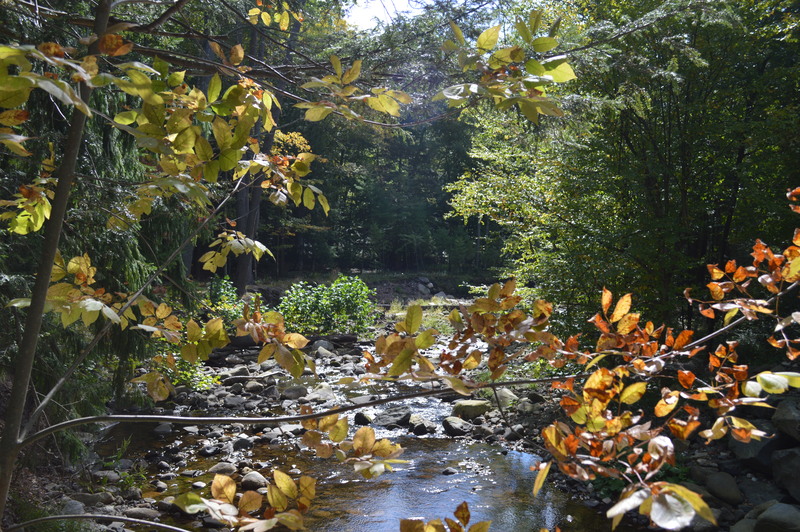 Early hints of fall over the brook. September light is unique. I needed to get the elderly puppeh a new harness, so I went to Union Square‘s Petco on my lunch break. Lightning, thunder, boom: Suddenly, it was raining cats and dogs (oh, har har har, cough, wheeeeeze). 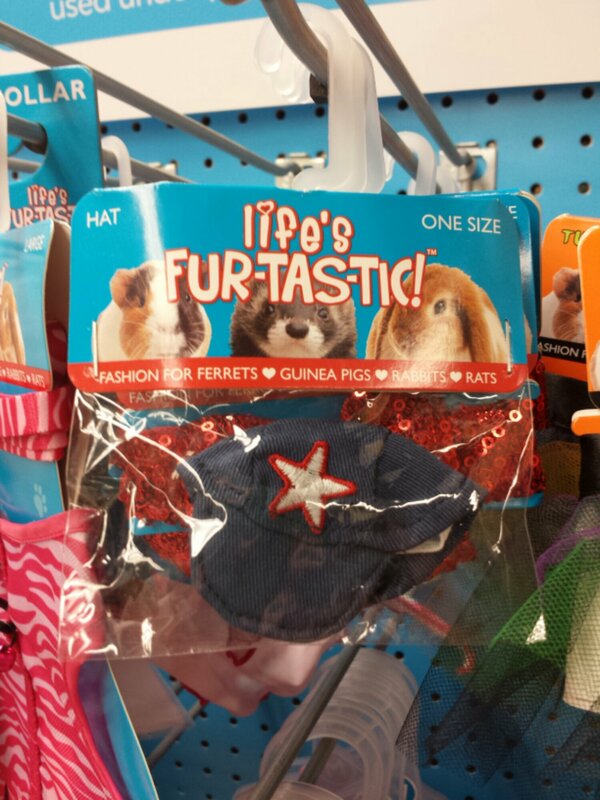 They make little one-size-fits-all hats for little rodents! And wedding dresses. Or maybe christening gowns? 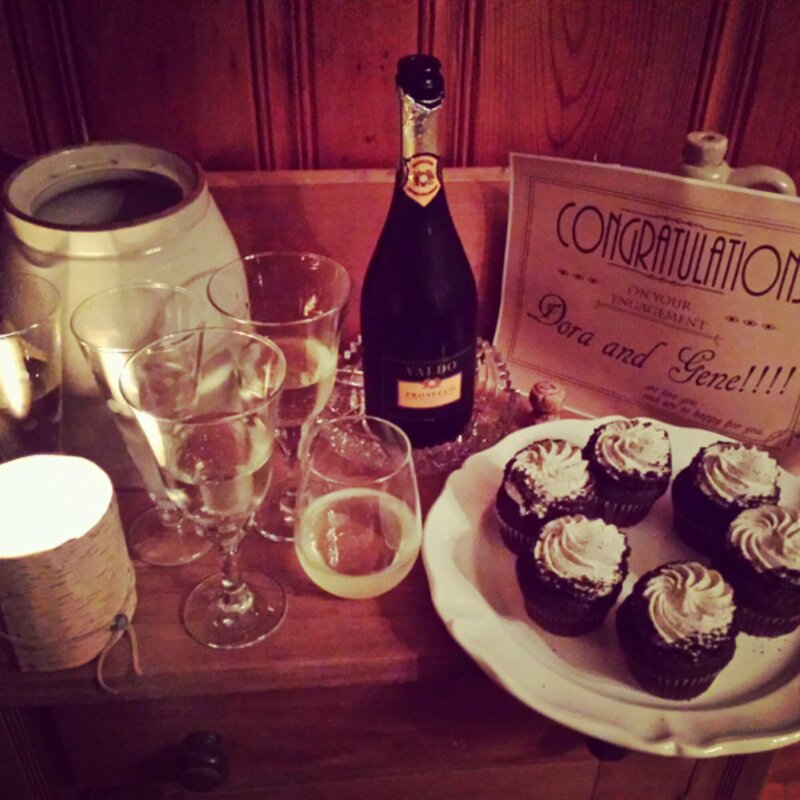 Either way, I want to attend the celebration. 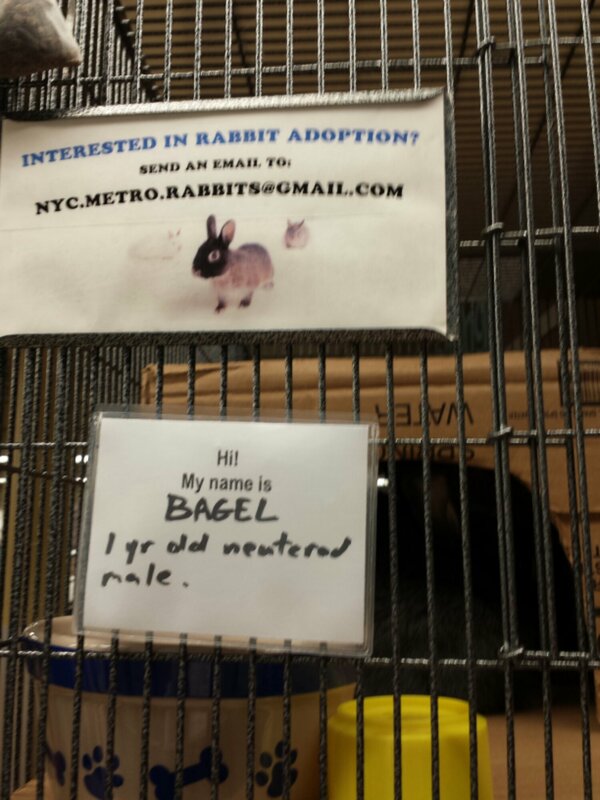 Rabbits can be adopted, and Bagel is the most furtastic rabbit name ever. 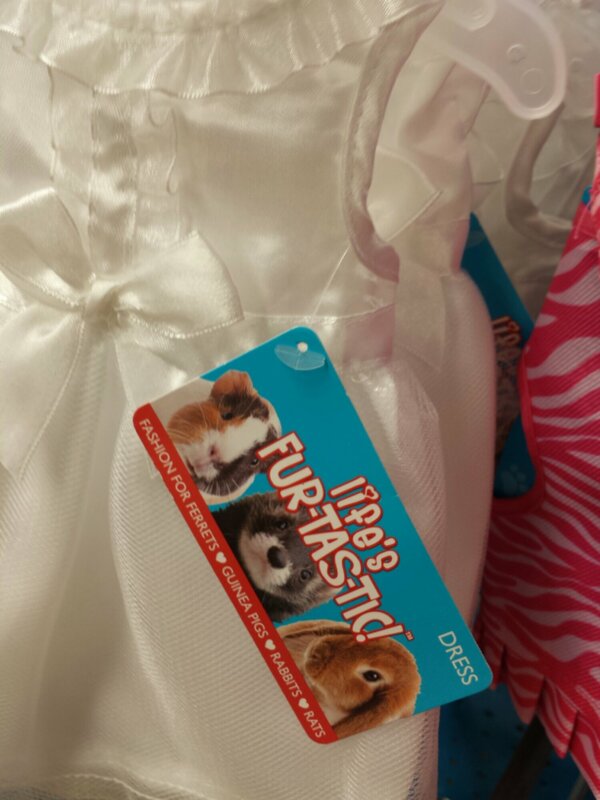 Wow: The Petco rodent menagerie gets more respect (and is better fed…and better dressed) than patients at the hospital I gave birth at. Wait, what’s that about the hospital? 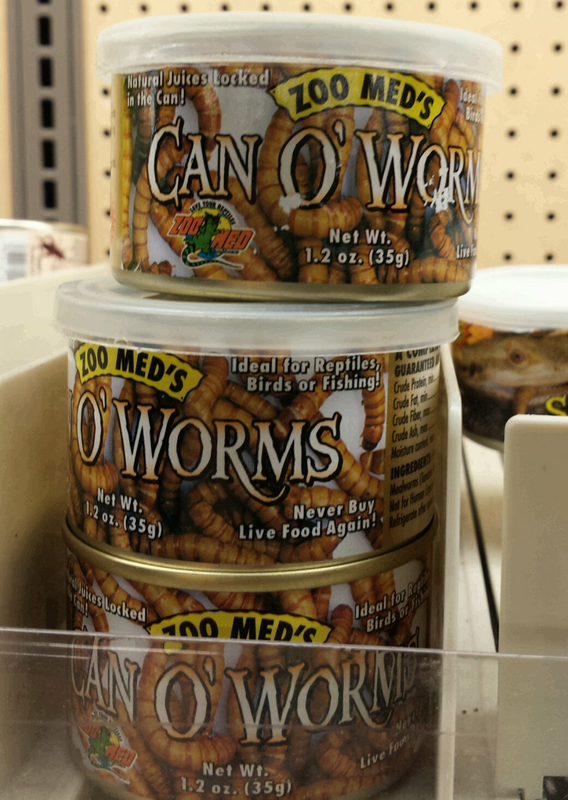 Oh, let’s not open that can of…whoa! It’s a real thing?! Grodes! 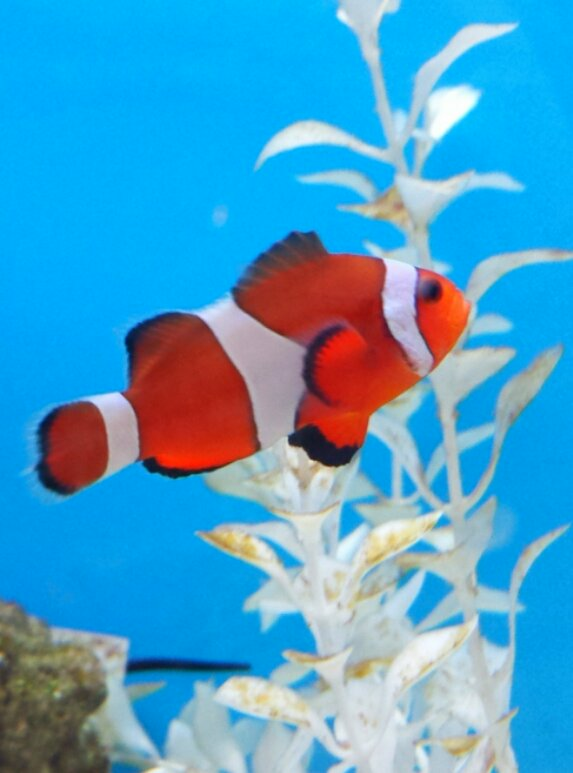 Clownfish are the George Clooneys of the aquarium aisle. Hello, handsome. 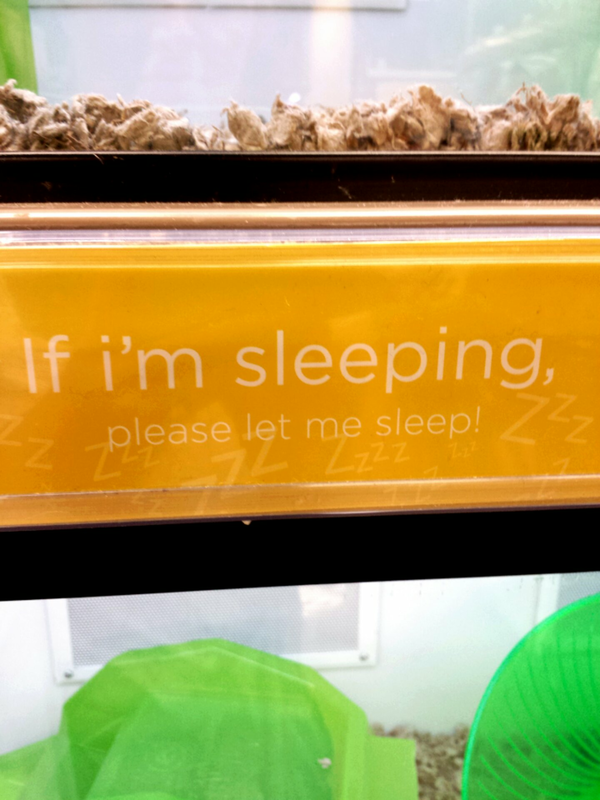 Poor Betta fish: As a kid, I pitied their miserable experience. 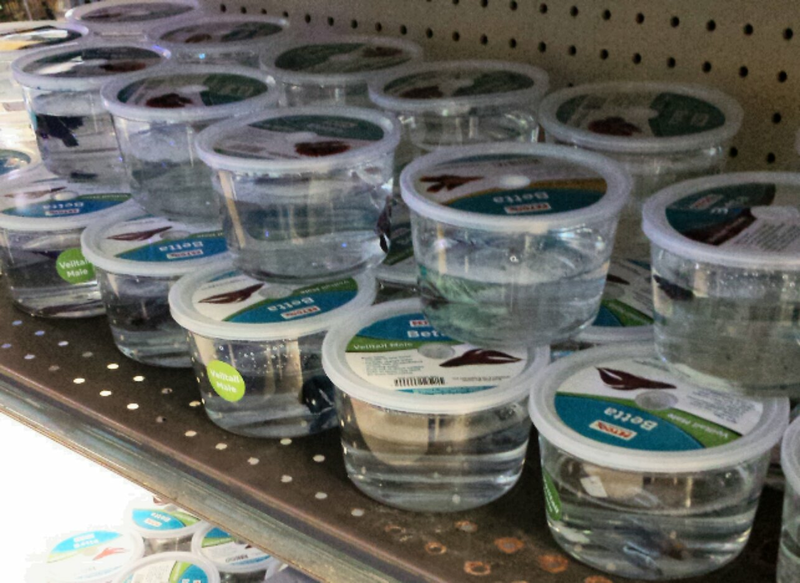 Sad to see they’re still the common peasants of the aquarium aisle, and they’ve been downgraded to living in take-out containers. But let’s not end on that sad note. 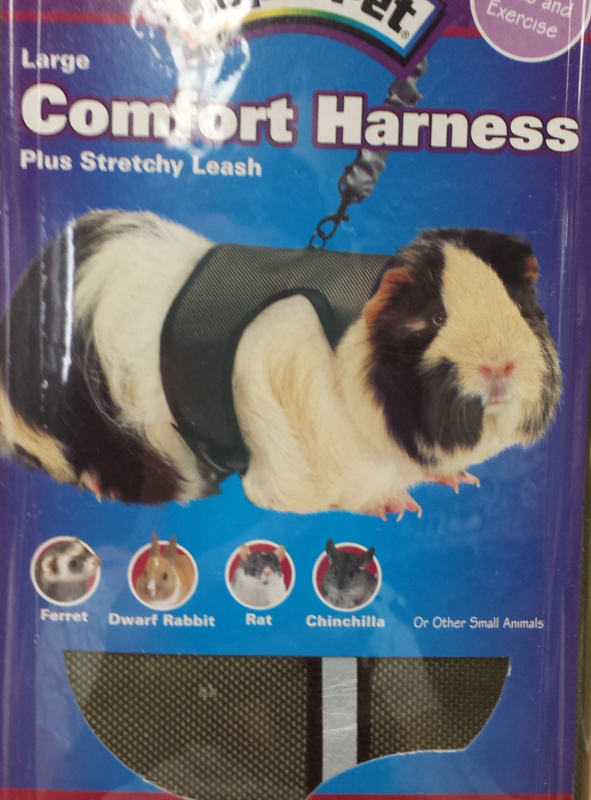 Three words: GUINEA PIG HARNESSES! 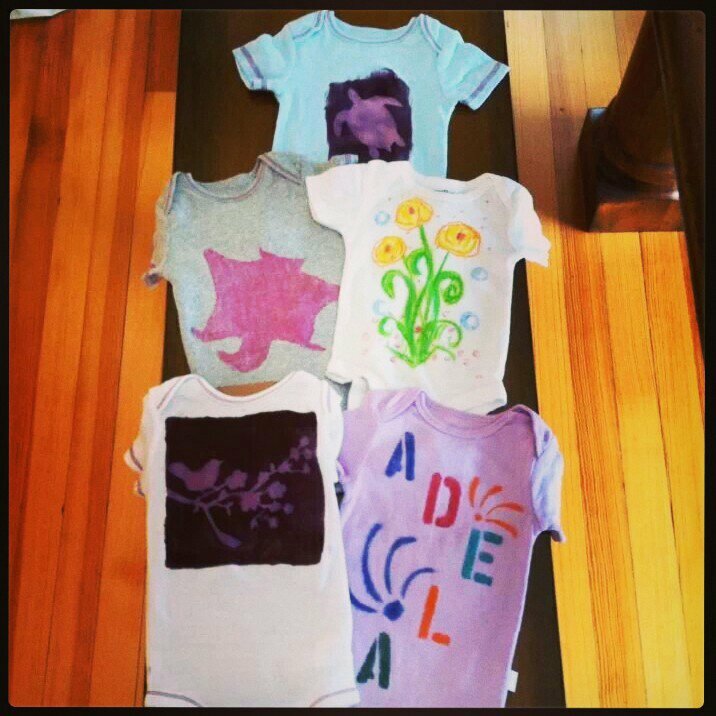 Besides oodles of googoos and gagas, we made onesies (the flying squirrel one is mine), toasted Dora’s engagement, ate homecooked Korean food at Kim’s Farm, and debated whether twerking signals the end of the human race. 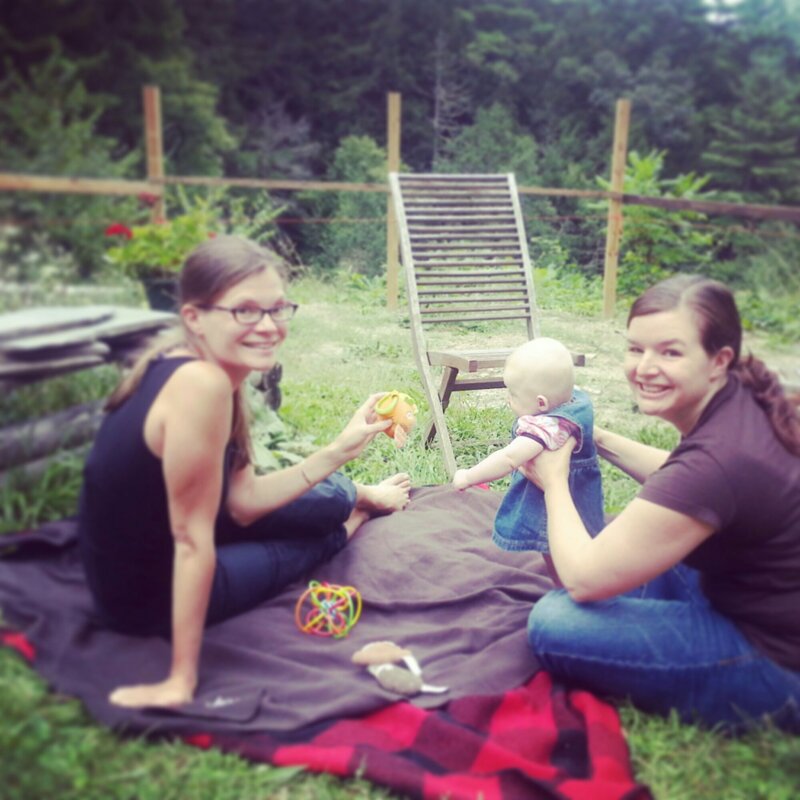 This annual estrogen-fest has become one of my favorite events of the year. While we miss Eileen, we now have Adela. Plus Eileen now has the beach. Grr. 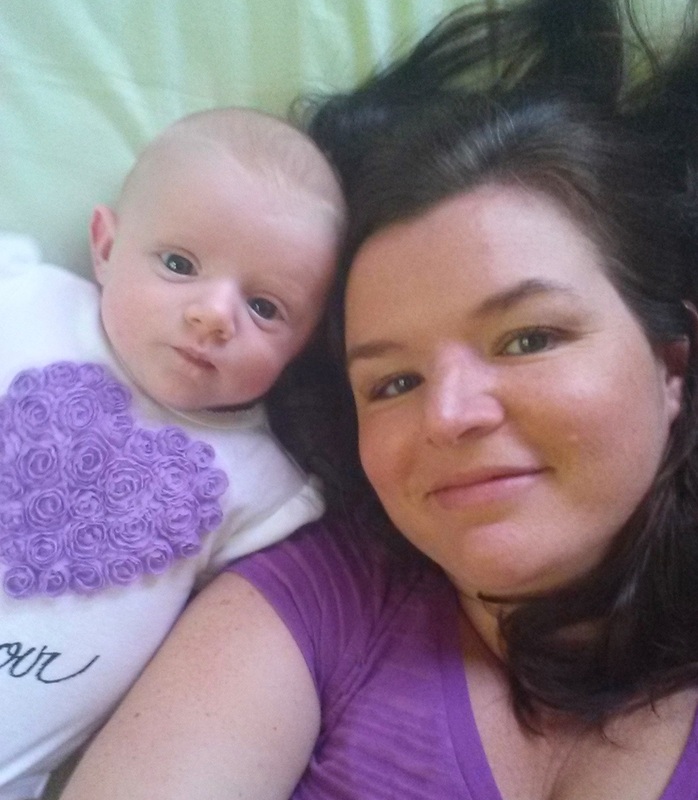 Note: this post was written while a baby slept on my chest. Adela learns how to selfie. 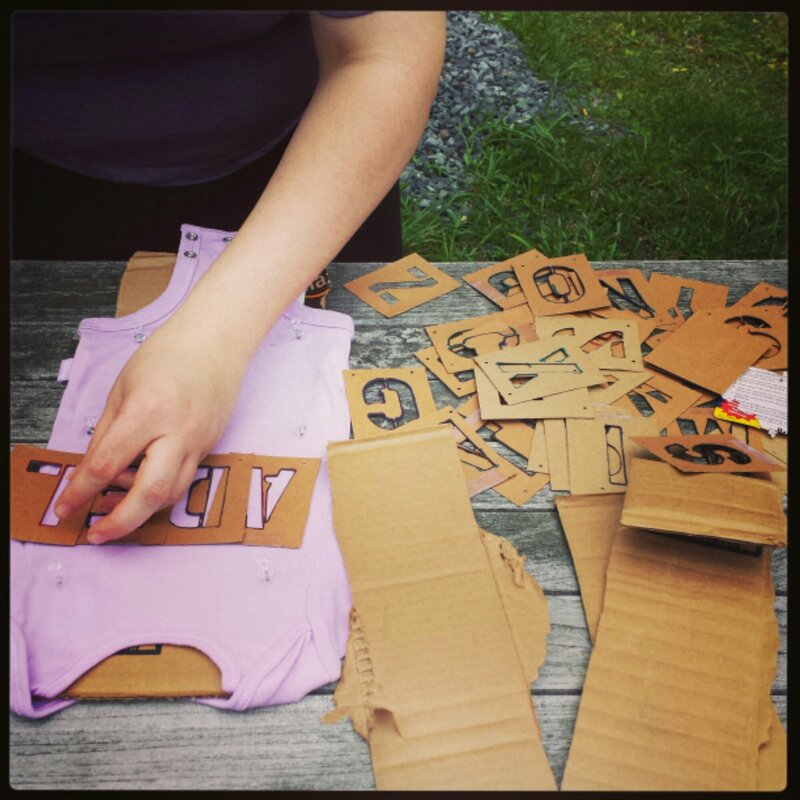 I’m thinking I’ll have time to blog again when she heads off to college?